Emmanuel Macron has seen happier days. Eighteen months into his five-year term his approval rating has plummeted from a high of 62% when he was elected to less than half now, as low as 20% by some accounts as of this writing. It is likely to fall further still. The reason? It is symbolized for us in yellow vests in the form of what might seem to some readers to have all the appearances of yet another color revolution – the gilet jaunes protests that began on 17 November this year. Those protests are ongoing and were triggered by yet another rise in prices for the French. We are currently in the 5th French Republic, after the 1789 revolution formed the 1st Republic. The French do like to reform their Republic from time to time. Not a bad idea, really. The transits to the chart for the 5th Republic reflect the current protests clearly enough (below, bigger). When they started Mars was approaching its square to the Republic’s Mars, with Jupiter opposing, showing the large numbers in the protests. Neptune (governing oil, among other things) was retrograde and quincunx the Republic Sun/Mercury conjunction. That Neptune aspect can also point to ulterior motives to the protests. The latter point is reinforced by the square of transiting Pluto to the Republic horizon. 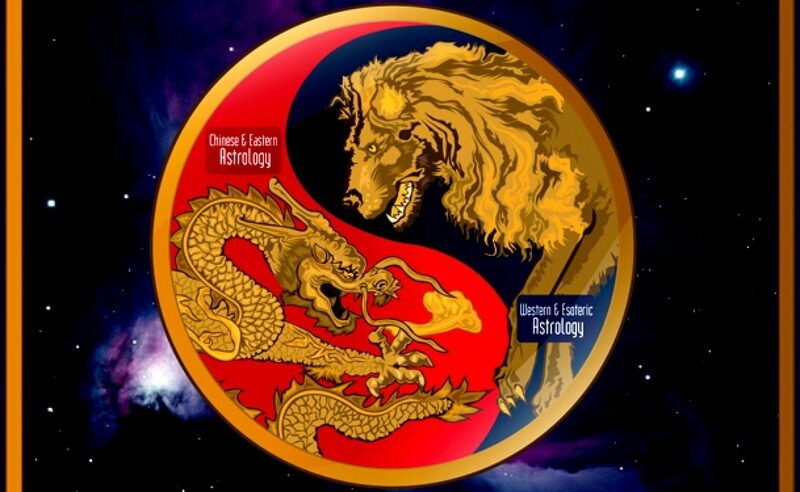 But Pluto in the main represents the mass mind, insurrections, public outrage and also oil under the ground. 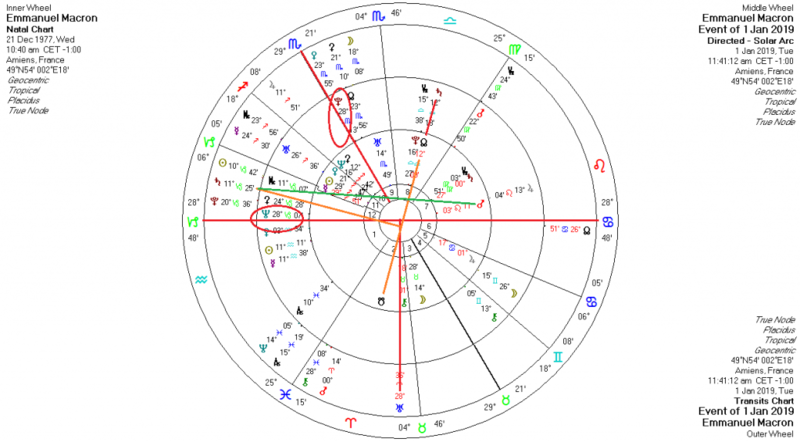 The transit clearly shows the dissatisfaction of the public with government policy, the latter shown by the square of Pluto to the Descendant of the Republic’s chart. When the start of the violence erupted, in Paris on the 24th, the transiting Sun was opposite the Republic Mars and conjunct transiting Jupiter, Mars was semisquare the Republic Ascendant and Saturn had moved up to square the Republic Vertex, showing another influence coming in. More on that point in a bit. 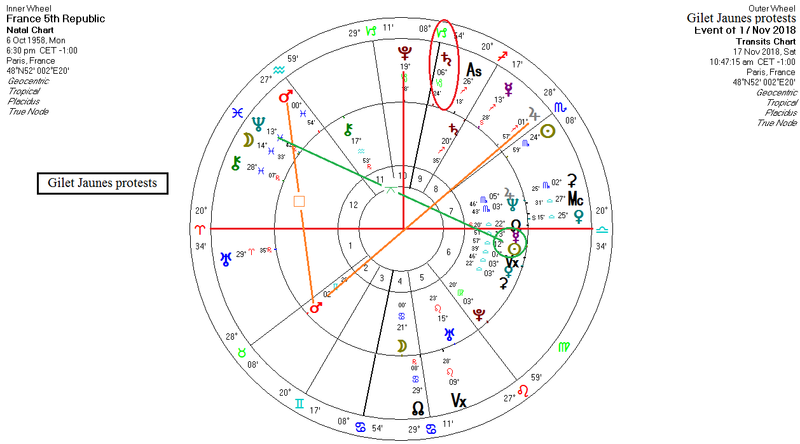 Pluto was within a degree of orb of the square to the Republic horizon in the third phase of the protests on the 1st of December, when there were calls for the resignation of Macron. A quick glance at his chart shows tremendous stress at the first of the next year. He has solar arcs of Neptune to his Ascendant and Pluto to his MC, transiting Uranus retrograde square his horizon, thus further activating the Neptune solar arc, directed Saturn on his nodal axis, transiting Saturn at the bending of his nodes and quincunx his Mars and Saturn transiting through his 12th house, which will cross his Ascendant early in 2020. The latter often indicates a setback of some kind. If I was into conspiracies I would say he is being set up, but we’ll stick to what we know for certain here, however much we can know. It certainly looks as though he will not weather this incident, nor his flagging popularity. However, with Capricorn rising and a Taurean Moon, that can be extraordinarily resilient. The Neptune and Pluto directions will be in effect for the whole of next year. What do we know for certain in all this, then? Macron has been pitched as a moderate. His election was welcomed by liberals and EU leaders. His background includes a stint as an investment banker in the Rothschild fold and he favors globalization. However, when it comes to it, he is neo-liberal in his thinking to a large extent, and that favors conservatives and corporate interests. That, along with his aloof and arrogant attitude, is where his problems start, and will probably be the end of his life in politics. It is those economic policies that have been at the root of the growing discontent in developed nations, such as cuts in government spending, privatization, cuts in social welfare and so forth. He has been called “a pound-shop Margaret Thatcher” as a result and his policies since he has been in office show it. Since he has been in office he has cut taxes to the wealthy and corporations, privatized French airports and sought to do the same to the French rail system and part of the French electricity utilities. He has slashed the housing benefit, raised taxes on pensioners, shifted power from the workers to the bosses and made entry requirements for university students more selective. Students are staging protests and the latter is seen as the first step toward doing away with France’s free education system. He has also targeted migrants and asylum seekers with more restrictive policies, which has won him respect of some in the far-right parties. And then this petrol tax comes along. The French, like so many people who live under the present economic model, are fed up. It offers no future to the average citizen, and in the end wrecks the state. The recent protests over the fuel tax affects everyone in France and there is popular support for the protesters, so far. For anyone who has to drive to go to work, the tax adds insult to injury. This largely affects people who live outside the major cities, where there is no mass transit. The economics of Macron and his like, which includes much of Europe’s leaders, is steadily leading to more and more protests, and we can probably expect the phenomenon to spread, especially now that Uranus has entered Taurus for the next 6+ years. My sense is that Macron will not make it through his term. There are people who believe the policies that have brought on these protests can be traced back to the EU, but this has only a grain of truth. It is a melee of Macron’s own making. He cannot be wholly blamed, though. His is a continuation of policies that have brought down Hollande and Sarkozy as well. And, the protests have little to do with the other EU states or with Brussels. The EU did not mandate that Macron do away with the wealth tax or introduce the petrol tax. However, once the protests begin to spread there will be changes to EU policy as state after state begins to dump their neo-liberal policies. Italy is coming to the verge of that now. Pressure will be increasing on Brussels. That is in the astrology of the EU, and the next years in Europe will be transitional. It is also a possibility that government will again change in France early in the next decade, but we won’t address that here. Mention was made of the Saturn transit square the Vertex axis before, and that it introduced another note into the protests. There were snipers on the rooftops in Paris on the night of December 1st, police snipers, and police were using heavy truncheons on protesters in the streets. The protesters were violent, too, and welcomed the police violence with a hail of cobblestones. These are the scenes that made headlines in the main, whereas the vast majority of protests were peaceful, even though disruptive. And, most of the violence was in Paris. Saturn represents the heavy hand and authority, and Macron is not averse to such. There is yet another possibility, too, but it is far too early to tell. Snipers on rooftops and small groups fomenting violence from otherwise peaceful protests has a familiar ring to it. We saw it in most of the color revolutions worldwide. I am not saying that is the case here, but the caution is to be aware. There does not seem to be anyone backing the protests now. It would indeed seem to be a popular, spontaneous uprising. If it stays that way it would in fact be the will of the people, rather than something being prodded from outside. There are factions who want to see the EU disrupted as a viable entity, though, especially as a powerful economic entity that can compete, act independently and influence terms with other powerful markets – and more especially, to be able to trade in its own currency worldwide. 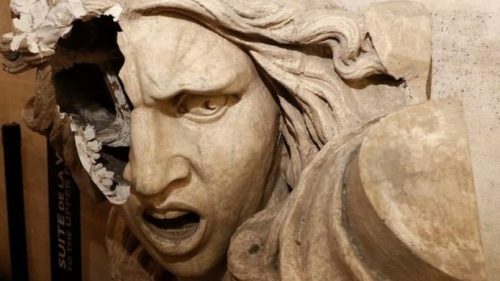 Perhaps symbolic here is the smashed face of Marianne at the Arc de Triomphe, the latter built in dedication to the armies of the original revolution. Marianne is the personification of liberty and reason and is a portrayal of the Goddess of Liberty. She is the outstanding symbol of the Revolution, and on the whole represents opposition to any form of tyranny. Our world and the West in particular has come to know an increasing form of economic tyranny, and Europe is beginning to rebel. Her smashed face sends a message, and France flies the flag. The revolutions that started in France in the 18th century inflamed much of Europe in the next, sweeping away centuries of monarchies and Church control. Tyrants, whether economic, political or of the pound-store variety, will not be tolerated. Not for long. This protest in particular is one against globalism. Watch for the insurrection to continue, spread and grow. Expect also for the state to become even more heavy-handed. Like also for the British, 2019 will likely be a very restive year for the French, and maybe with new elections.